10 Best Craft Brew States in America. Guess who’s #1?! 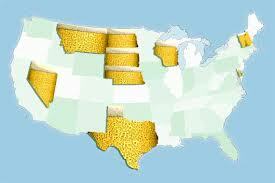 The craft beer movement continues to boom across the USA. 10Best editors have compiled this state-by-state guide so you can plan your next beer pilgrimage. Wine isn’t the only libation California is known for. With 268 craft breweries and counting — more than any other state in the USA — there’s bound to be a brew for every taste. While labels like Stone, Sierra Nevada and Anchor have become household names across the country, smaller breweries with more limited distribution are holding their own. Coming in at a respectable second, Washington state has 136 craft breweries, including the well-known Pyramid Brewery, headquartered in Seattle. It’s no surprise that this evergreen state has such a passion for beer, as the first American microbrewery — Yakima Brewing & Malting Co — was based here.